Dr Clayton is the clinical lead for pediatric dermatology at Salford Royal NHS Foundation Trust and the Royal Manchester Children’s Hospital. Tim enjoys working at Salford which is recognized as one the best NHS trusts in England. He supervises a team of highly trained staff including nurse led wart clinics and specialist nurse clinics. Both of his NHS bases are major teaching hospitals and medical students are usually present in his clinics. Dr Clayton undertakes adult and paediatric clinics at Salford Royal. The department of dermatology at Salford Royal is one of the largest in Europe. Services include, phototherapy, photodynamic therapy, Moh’s surgery, Lasers, Allergy testing and the Manchester Psoriasis Clinic. Tim has received clinical excellence awards for his work. His latest patient and colleague outcome data is available here. In addition to his pediatric dermatology work Tim also delivers an adult eczema clinic at Salford once a month and a skin cancer clinic every 6 weeks. He leads a genetic skin disease clinic at Salford and an Epidermolysis Bullosa service at the children’s hospital. Tim has also established a vascular malformation clinic at the Royal Manchester Children’s Hospital. Tim can only see children referred by other hospital specialists ( tertiary referrals) at the children’s hospital. It is not possible to arrange an appointment in Dr Tim Clayton’s NHS clinics at Salford without a referral from your general practitioner. 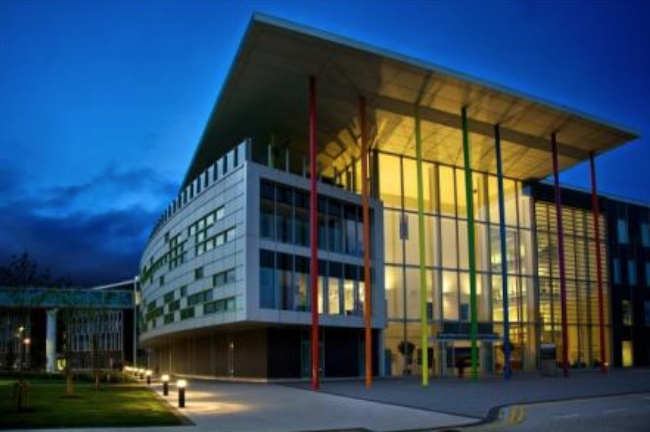 The Royal Manchester Children’s Hospital provides specialist healthcare services for children and young people throughout the North West, as well as nationally and internationally. The hospital sees 135,000 patient visits each year. Dr Clayton has recently established a community paediatric dermatology service for children in Salford. This is held at the new Pendleton Gateway building. Tim has developed an iontophoresis service at Pendleton which receives referrals from across Greater Manchester. He also supervises a nurse led eczema service and wart clinic. Dr Clayton also undertakes children’s skin surgery at Pendleton, removing moles and suspicious skin lesions and performing biopsies to help diagnose rare skin conditions. Dr Clayton’s private clinics or Call 0161 817 5016.